P&O Cruises President Sture Myrmell said the new 1980’s Tribute Cruises and Country Music Festival at Sea would provide guests with a quick escape full of varied activities to do onboard. “We’re a hard-working nation and appreciate the time to switch off, have fun and relax. Long holidays are extremely valuable but we’re also seeing more people look to make the most of their annual leave and weekends by getting away for shorter periods more often,” Mr Myrmell said. 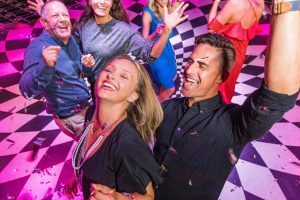 Guests can enjoy performances from authentic 1980s bands, high-energy tribute acts and original pop starts from the decade when more was well, more! The inaugural Country Music Festival at Sea departs Brisbane on December 7, 2019. Fares start from $424 quad share. The 1980’s Tribute Cruise departs Brisbane on February 1, 2020 with fares starting from $474 quad share. The second sailing departs April 3, 2020 from Sydney with fares starting from $674 quad share.